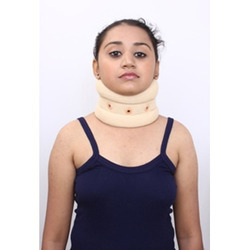 Leading Exporter of soft cervical collar and hard cervical collar from Ahmedabad. Owing to the finest raw materials and modern machines used in its manufacture, the offered Soft Cervical Collar is characterized by a longer lifespan and commendable effectiveness. Manufactured as per the set industrial norms and guidelines, it is exceptional in terms of quality. It is used for the purpose of immobilizing the cervical bone. Offered to the clients at the bet rate possible, its demand in the market is quite high. 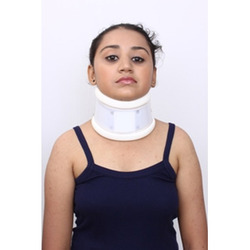 Being one of the leading manufacturers and suppliers of this highly commendable Hard Cervical Collar, we never compromise with its quality. Thus, we engage in using the finest raw materials and modern machines in its manufacture. Owing to this, the product provides commendable effectiveness. The offered product is widely used for the purpose of treating spondylitis and patients with dislocated cervical bone. Looking for Cervical Collar ?